Question: Three months ago, the Democratic Party took back the House of Representatives. Now the media is full of stories about how the Democrats have “shifted to the left” and how “progressives” are poised to take back the party from the “establishment Democrats.” What is the reality behind these stories? 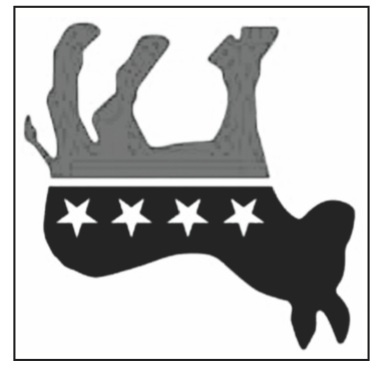 Nick Brana: There is a lot of ground to cover from the past three years, all indicative of how much the Democratic Party has been doing to undermine progressives and working people. Well, next, progressives said, “What if we try to elect a DNC chair to take over the Party apparatus?” It turns out again that the Democratic Party’s members and voters have nothing to do with selecting the leadership of the Party. The DNC members (corporate lobbyists, consultants, and superdelegates) get to pick the Democratic National Committee chair. The Party donors supported Tom Perez, so that’s who we got. Once again the progressives were thwarted by the Party. So progressives then said, “How about if we replace the DNC members and get a majority?” Well at the DNC’s fall meeting in 2017, the Party simply picked out the progressives and purged them from the National Committee. The shocked progressives then said, “What if we try to reform the presidential primary process ahead of 2020?” So they pushed for the elimination of superdelegates, open primaries, same-day party registration, and progressive influence on the key Rules Committee, which oversees the primary process. And the DNC Unity Reform Commission was put together to level the playing field and create a fair primary process. But right from the start, the Democratic Party rigged the commission itself. The Party stacked it with a bunch of consultants, corporate lobbyists and people who participated in rigging the 2016 primary (like Donna Brazile). It also gave all 30 seats on the Rules and Bylaws Committee to establishment loyalists. Not surprisingly, the DNC ended up expanding its control over the primary process. It kept closed primaries to shut out independent voters who lean progressive. It kept joint fundraising agreements between the DNC and presidential campaigns, which allow establishment candidates to control the Party throughout the primaries like Hillary Clinton did. It slashed the number of states that hold caucuses, which favor progressive candidates. It refused to eliminate superdelegates, moving them to the second ballot at the convention but reserving the right to force a second ballot if they choose. It introduced a loyalty oath that allows the DNC chair to deny progressives access to the ballot if he deems that the candidate has been insufficiently “faithful” to the Party during their life. And most important, it did nothing to remove corporate and billionaire money from the primary or the Party, ensuring that Wall Street can continue purchasing its politicians. These rules will have a huge impact on the 2020 Democratic primary. Take the caucuses for instance. Bernie won two-thirds of the caucus states in 2016, while Hillary won three-quarters of the primary states. Bernie was competitive thanks to the caucuses. So the Party leadership said, hey, let’s get rid of them. And that’s what they’re doing. When the dust settled in November of 2018, it turned out that the “Blue Wave” had been a corporate wave. The party establishment had successfully blocked all but two of the progressives who challenged incumbent Democrats. Only two progressives unseated House Democrats in all of 2018: Alexandria Ocasio-Cortez and Ayanna Pressley. There are 435 members of Congress. The other two progressives who are often discussed in the media basically swapped seats with progressives who used to sit there: Rashid Tlaib took John Conyers’ seat and Ilhan Omar took Keith Ellison’s seat. The Party responded to the dissension by threatening to pick an even more conservative Speaker of the House than Pelosi, someone from the Blue Dog Caucus, for example. This needs to be understood: The opposition to Pelosi becoming Speaker of the House was coming from the right wing of the Party. The majority of the Democratic House Caucus considers Pelosi to be out of step with the Party because she is too far to the left. The Democratic Party is so conservative that Pelosi is now left of center. As a result, the progressives capitulated and voted to make Nancy Pelosi Speaker again. But they went beyond endorsing her reluctantly. The handful of new progressives launched a campaign to rebrand her as a progressive. “Pelosi comes from a space of activism and organizing,” said Alexandria Ocasio-Cortez. “No one can really doubt Pelosi’s progressive chops,” stated Pramila Jayapal. “Pelosi has a progressive track record,” added Rashida Tlaib. “Pelosi will play an important role in advancing the agenda of progressives,” said Ilhan Omar. Over the past three years, progressives have engaged in various efforts to gain influence in the Democratic Party, democratize the Party, and elect progressives to office — and the Party has thwarted them and consolidated its power at every step of the way. In the midterms, the Party that came back to Washington looks virtually indistinguishable from the one that existed before the midterms. In fact, there the Democrats are more corporate than ever, as they were the ones that the DCCC picked to run. The DCCC in turn worked with the finance-friendly Blue Dog Democrats on candidate recruitment. The “Blue Wave” was another corporate wave. That’s why the work we are doing as the Labor-Community Campaign for an Independent Party (LCCIP) is so important. We and working people are saying, enough is enough, we’ve learned our lesson: What we need in this country is a major new party, a mass-based party of working people, in order to make change. Question: Since the midterms, the Democrats have put forward a number of policy positions which, yet again, show their true corporate colors. Could you tell us about PayGo, for example. Nick Brana: The issue of PayGo is critical. It’s a balanced-budget austerity policy. It stipulates that the government has to offset any increase in spending with an increase in revenue. PayGo makes it virtually impossible to pass progressive legislation, including Medicare for All, free public college, a Green New Deal, and a federal jobs program. The Democrats pushed to institute this as a rule in Congress. On January 3, the House of Representatives approved PayGo. Only three members of the House Democratic Caucus voted against PayGo, that is one percent of the House Caucus. All of the new freshmen “progressives,” with the exception of Alexandria Ocasio-Cortez, voted for PayGo. They voted against their own agenda on their first day in office. Many House Democrats have been saying they support Medicare for All or a Green New Deal — and yet all of them voted to adopt a set of rules that ensures those policies will never see the light of day. This shows that the Democratic Party is playing the same game it has always played: When it is out of power, as it was after 2016, the Democratic Party turns to Single Payer and other rhetorical progressive promises to win its way back into government. The minute they get into office, they toss those commitments out the window. Obama and congressional Democrats did the same thing when they were out of power during George W. Bush’s administration. They promised to pass Single Payer and the Employee Free Choice Act, cap carbon emissions, bring the troops home, end mass surveillance, and get money out of politics. Voters put them back into office with a filibuster-proof majority. They reneged on everything. Question: What ever happened with the Green New Deal Committee? Nick Brana: That’s another case in point. Nancy Pelosi promised a Green New Deal Committee to the progressive freshmen in exchange for their support of her nomination as House Speaker. The Democratic Party, however, reduced the much-anticipated committee to a public relations stunt for the fossil fuel industry. It was stripped of the power to pass bills or subpoena speakers, which are the basic powers of any committee. It was reduced to a gimmick. The Democrats went further. They packed this new committee with corporate Democrats who take fossil fuel money. When progressives objected, the establishment chair of the committee replied that it would be a violation of their First Amendment rights to ask Democratic members of the committee to not take oil and fracking money. In the spirit of Citizens United, she basically said that it’s their right to be bought off. This novel Democratic precedent states that elected officials can never be asked to relinquish their Wall Street cash — which is important because studies have shown that virtually all of the Congressional Progressive Caucus members take corporate money, as does the rest of the Party. It is worse than nothing to have a committee that pretends to be doing something, while ensuring that nothing gets done to address climate change and other urgent environmental crises. The fossil fuel companies were quite pleased. Question: Let’s talk a bit about the Democrats and U.S. foreign policy. There was a vote in the House of Representatives in mid-January on U.S. support for NATO, one of the U.S. government’s major war instruments not only in Europe but across the Middle East. And not a single Democrat voted to oppose NATO. There were 208 votes in favor of NATO, with 26 not voting. All the supposedly militant “progressives” — including Alexandria Ocasio-Cortez — voted to support NATO. This is one more sign of the militarism that carries the day in the Democratic Party. In 2017, the Democrats authorized more money for war spending than Trump had requested. And there are enormous repercussions for social spending here at home. The war budget, euphemistically called “defense budget,” siphons billions of dollars away from schools, infrastructure, hospitals, and other vital programs. 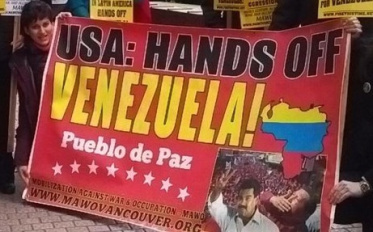 Now the Trump administration, with full bipartisan support, has orchestrated a coup d’etat in Venezuela and is poised to send 5,000 U.S. troops — in addition to proxy troops from Brazil and Colombia — into Venezuela in the name of “restoring democracy” and “ensuring the delivery of humanitarian aid.” The hypocrisy of it all is sickening. Nick Brana: Accepting militarism is the price of admission into the Democratic Party. The Party will not allow you to operate if you challenge this. The war budget consumes 56 percent of federal discretionary spending, a figure that is rising and hollowing out the U.S. economy thanks to bipartisan support. It’s also making the world a much more dangerous place. Just two weeks ago the Bulletin of the Atomic Scientists put humanity at 2 minutes to midnight. Swept up in the new McCarthyism, the U.S. is withdrawing from the Intermediate-Range Nuclear Forces Treaty, a centerpiece of Cold War arms control. Prior to Trump’s withdrawal from the treaty, Obama and the Democrats had already announced plans to spend more than a trillion dollars modernizing U.S. nuclear weapons. The support for NATO, a military alliance outside of the global U.N. framework, is particularly distressing given that its counterpart, the Warsaw Pact, dissolved with the Soviet Union. Its encroachment on Russia over the past three decades is at the heart of rising international tensions. The bill that recently got unanimous support from the Democrats went beyond expressing support for NATO, it called for an increase in military funding from member countries. In Venezuela, this is the second coup that the U.S. has orchestrated against the government in the past couple decades. Venezuela has the largest oil reserves in the world and Western companies want to take those resources out of the country’s hands like they did in Iraq. The U.S. and Wall Street have engaged in sanctions and economic warfare to starve the country and provoke a coup, one that they finally orchestrated last month. The coup has not been as successful as Washington hoped, seeing as millions of working poor are loyal to the government, which has dramatically improved their standards of living over the past couple decades. The U.S. corporate parties have celebrated the coup with near-unanimous bipartisanship. Question: Is there anything else you would like to add to this discussion? Nick Brana: Yes. I want to emphasize one of the points I made earlier. Many progressives aiming to reform the Democratic Party are trying to get Nancy Pelosi and the current Party leadership out of the way in the hope that they can get a fresh new progressive generation of Democrats to take their place. But it’s important to understand that the successors to Pelosi and the Party leadership have already been groomed and decided, and they are more right-wing than Pelosi. This includes Ben Ray Lujan, a Democratic Representative from New Mexico who was just made Assistant Speaker of the House. He ran the DCCC for the past four years, where he turned over candidate recruitment and mentoring to the ultra-conservative Blue Dog Democratic Caucus. It also includes Hakeem Jeffries, a Representative from New York who is now the Chair of the House Democratic Caucus and who got his start as a corporate lawyer for Viacom and CBS. Also in line for Party leadership is Illinois Representative Cheri Bustos, who received the DCCC Chair post and was an executive in the healthcare industry before she came to Congress. The next generation of congressional Democratic Party leaders is more conservative than Pelosi, Steny Hoyer and the sitting leadership. They are in their 40s and 50s and will literally run the party into the 2050s. Question: You have talked about the need to have a dynamic Labor-Community Campaign for an Independent Party so that when the 2020 election comes and goes, with yet again another primary rigged against “progressives,” there is something in place so that people can gravitate toward a new mass-based independent party of working people. Why is this so important today? Nick Brana: We’re on the brink of two major crises. One of them is the fact that the Democratic Party presidential primary has already been rigged, again. The other is that, as many economists are predicting, we are due for another recession. The signs are there, beginning with the recent extreme volatility and loss of confidence in the stock market. That means there will be these great shocks that will lead to a greater erosion of confidence in the establishment parties that have pushed people to the brink since the Great Recession. Eighty percent of Americans live paycheck to paycheck with little to no savings. So it is vitally important that those of us who understand this history with the Democratic Party be prepared to create a mass-based and corporate-free party of working people. 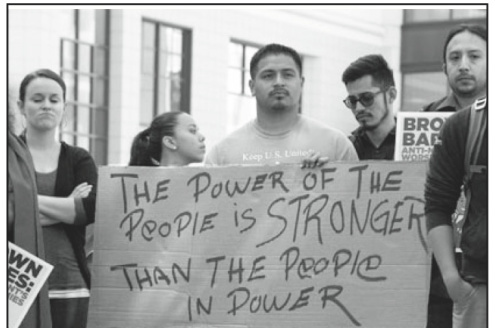 That is the work that LCCIP is engaged in, with 14 union and community organizations representing more than 100,000 members. The majority of Americans already want a major new party, including an even greater number of young and working people. A large plurality of Americans are also independent, with millions having left the Democratic and Republican parties over the past 15 years. This has happened before another recession and rigged primary rock the country. Neglecting to form a left alternative to the establishment parties leaves a rapidly widening void in political representation that the far right happily fills. That’s how we got Trump. As horrific as he is, the public’s desperation and rage will only grow as their lives descend further into precarity and distress. America’s unions have spent billions of worker dollars propping up the Democratic Party over the past several decades. In return the Party has given us plummeting wages, skyrocketing healthcare costs, crushing student debt, job-killing trade deals, and inequality surpassing the Gilded Age. The corporate bosses would never tolerate that kind of return on investment, and neither should we. Unions couldn’t take over the Democratic Party when 35 percent of the workforce was unionized in the 1940s and 50s. 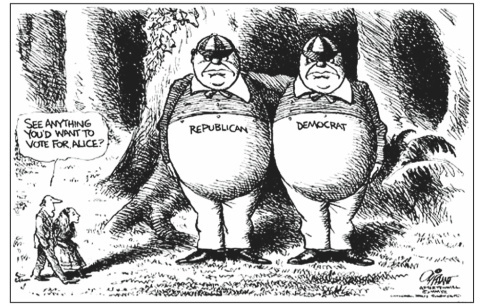 But they have always held a far greater, untapped power — the strength to replace it entirely with a labor-based party. From child labor laws to the 40-hour workweek, America’s greatest victories have been won when unions and social movements joined forces to declare their independence from the parties of Wall Street. Once again, Nick Brana diagnoses the political problem in America with clear vision and accuracy. Any hope of turning the Democratic Party in a more progressive direction can at this point be regarded as delusional. The Democrats are a mostly conservative party that serves Wall Street, the military industrial complex, and the national security state. Period. They are centrist or moderately liberal only on a handful of issues where the oligarchs who run this country don’t really care. And looking at the next generation of leadership, the party appears set to move even further to the right. The time is ripe for the rapid emergence of a new progressive party. However, many of the states have placed barriers to inhibit the emergence of a new party. The only chance we have of bringing this new party into being is if the progressive left unites. This includes Movement for a People’s Party and the Labor-Community Campaign for an Independent Party. It also needs to include the Progressive Independent Party, Democratic Socialists of America, Working Families, and the Green Party. It should also include more people and organizations from the labor movement, working people who realize the major labor unions are wedded to a pro-corporate Democratic Party. If this unity happens, we could overwhelm many of the barriers states have put in place. Once this new progressive party got off the ground — once people saw it as a potentially viable alternative — support for this new party could explode. People are hungry, even desperate, for a real political alternative. If we can offer them one, they will come, and in great numbers. 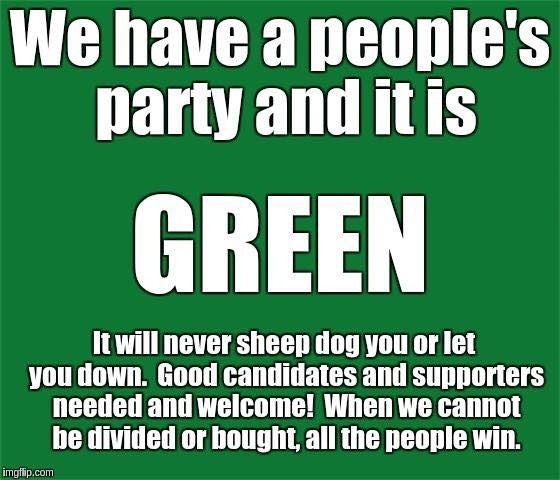 The Green Party does not have ballot access in 47 states. That is a lie some Greens keep repeating. In most of those places, the Greens will have to work all over again to qualify for the ballot, as they do in every election, because they hardly ever draw enough votes to qualify for automatic ballot access. But some Greens have valuable experience. If the Greens would set aside their pride and join with MPP, DSA, and others, our combined efforts might make a difference. But as long as we remain a bunch of little parties on the left, none of us will get anywhere. DSA does not run candidates. And, does not seek any ballot. MPP also does not seek any ballot access and has never run a candidate. It is not clear what the future is for MPP. It is part of the reality of being a third party in the United States that the two Wall Street parties have put in place rules that require them to continually reacquire ballot access. The Green Party will be on almost every ballot in 2020, as it has been in previous elections. MPP and DSA will be on zero ballots, unless they change their strategy. DSA has become more closely aligned with the Democratic Party purchasing their database, Target Smart, for more than $100,000 which forbids them to use the database against any Democrat. With DSA, you are basically supporting the Democratic Party. Ironic that a socialist party would ally with Wall Street but that is the reality of the manipulation that exists in the mirage ‘democracy’ of the United States. The Green Party brought single payer to the electoral agenda in Ralph Nader’s 2000 campaign and brought the Green New Deal into campaigns at the state and national level beginning in the mid-2000s. Both of those issues came out of people’s movements. The modern single payer movement started 30 years ago and the climate justice movement more than 20 years ago. Only one party has represented those movements in the electoral arena. Getting movement issues onto the national agenda is one of the roles of third parties throughout history. It was true in the 1840-60s for the issue of abolition of slavery which resulted in one of the two pro-slavery parties disappearing (the Whigs) and the most successful third party president in history, Abraham Lincoln being elected in a four-way race. Since then, the Democrats in paricular, have absorbed issues raised successfully by third parties including worker rights, challenging big finance and monopolies, women’s right to vote, ending prohibition, civil rights and the entire New Deal. These all came from third parties, just as Medicare for All and the Green New Deal have done in recent years. 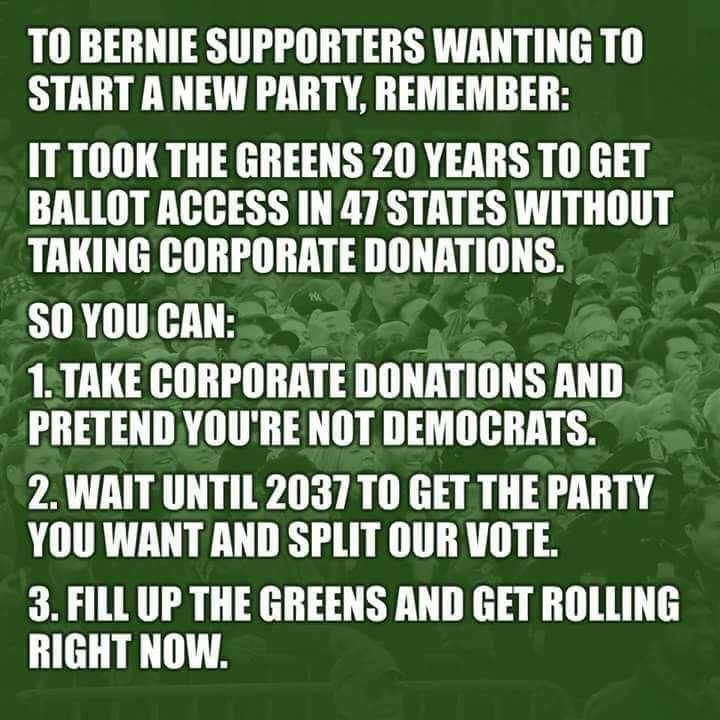 In this next election, not only will Greens be on the ballot throughout the country (unlike any other progressive third party) but they will be putting new issues on the agenda. We do not see elections in the US as viable for winning seats (except local elections) because voters are manipulated to vote against their interests, usually by voting in fear, and because roadblocks have been put up to prevent real elections. But, third parties can help build power of political movements and represent those movements in the electoral sphere – which is only one area where movements can fight for transformational change. Yes, this type of unity on the left is essential and will be one of the goals of many of us working in left third parties in 2020. DSA, unfortunately, has decided to ally with the Democratic Party so they are not possible. Working Families Party is really just a front group for the Democratic Party as well so they are also not possible. Many of the other parties you mention will not have ballot lines. there will be some socialist parties who will have some ballot lines and there are some state-level progressive parties as well. The Greens are already gearing up to be on every ballot in 2020. Linking left parties who are not allied with the Democrats would be an excellent goal for a Unity Campaign in 2020.